engine. Spilling power plants cover an output range from approx. 100 - 2.500 kW. More and more customers from industry, municipalities and utility companies rely on the specialist Spilling for medium and small decentralised electricity generation plants. Because Spilling products are designed to customer specifications in such a way that they generate an optimum amount of electricity for every application and load. Spilling provides such a varied product line of (expansion) engines and turbines that provide energy for almost every application. are worldwide unique, robust and variable, especially suited to heat-controlled operations from 100 kW onwards. can be configured and dimensioned according to customer specifications thanks to our modular turbine technology. They are suitable for a wide spread of different requirements and applications. are adaptable and efficient, ideal as an expander for reducing stations with high fluctuations of pressure and throughput thanks to the large working range with consistently good efficiencies. are unique specialists, suitable for compressing even small amounts of steam to recycle low pressure steam or supply high pressure steam for individual loads. Optimise your use of energy! Rising costs have made the optimised use of heat and electricity an existential factor for every company. So much better that energy can now be recovered where in the past it was simply released into the environment – e.g. 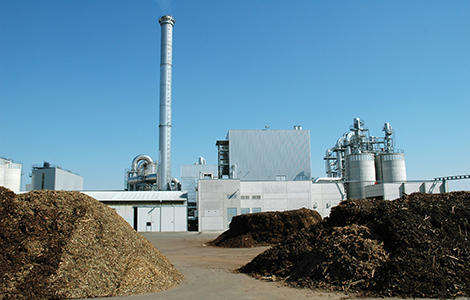 waste heat or from waste incineration, from biomass and lean gases or from technically necessary pressure reductions. Spilling provides solutions for optimised processes, with an individually designed, customised product portfolio tailor-made for your particular needs from a single engine to an integrated plant concept. Discover the sheer variety of your possibilities here! CHP for optimised fuel utilisation. Compared to conventional "condensing power plants", combined heat and power units contribute importantly to reducing CO2 emissions at low electricity generating costs. 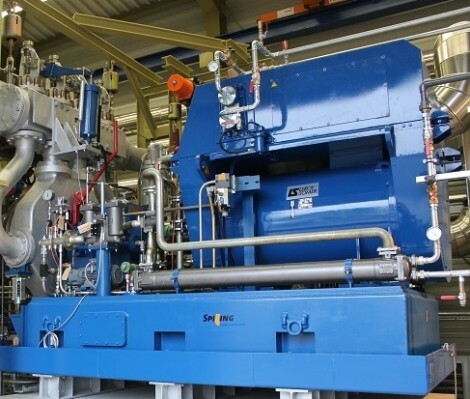 Spilling steam engines and steam turbines are the first choice for smaller and medium-sized biomass electricity generating plants in industry and regional power supply. Spilling get’s more out of from what’s left over. If you want to recover energy from waste and waste heat, you should decide for a steam power plant from Spilling. Save resources with steam compression and steam recycling. Spilling steam compressors offer individual solutions to recycle excess steam to a useable pressure level and therefore so save resources. 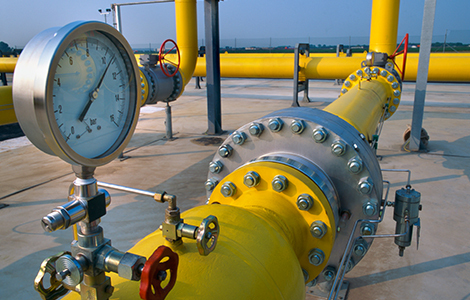 Gas expansion with Spilling: targeted use of modular technology. Highly efficient electricity generation by recovering energy from natural gas transport networks – that is what the Spilling natural gas expansion plant offers you. Electricity can thus be generated in gas transfer stations at maximum primary energy efficiency and minimal CO2 emissions. Natural gas expansion plants exploit the pressure difference between transport and distribution network. The pressure of the downstream distribution network is reduced by the gas expanders and the electrical energy is gained power used to drive a working machine e.g. a compressor. The power plant is installed parallel to the conventional gas pressure control lines and the supply of the downstream network is secured. Since the natural gas only has to be pre-heated to moderate temperatures, usually only to approx. 100 °C or less before being expanded, various heat sources can be used for this purpose: district heat, industrial waste heat, heat from hot water boiler plants and combined heat and power plants. In view of the increasing scarcity of primary energy sources and rising electricity costs, Spilling gas expansion plants provide an economically interesting, ecologically sound and efficient possibility to generate electricity decentrally – and not just for utility companies and industrial companies with large natural gas purchases. Dimensioning is performed under consideration of the respective gas pressure ratios and the gas procurement conditions. Due to the individual configuration of the number of cylinders and pressure staging, the modular system of the Spilling engines permit an optimal adaptation to the very different conditions of gas pressure control stations. Municipal and regional power supply companies. Fluctuations in purchases depending on time of the year and day make the distribution of natural gas to the urban consumer networks a constant challenge. Industrial company with high gas purchases. Spilling technology is the answer when energy-intensive production processes or operating gas engine power plants to generate domestic electricity require an own gas transfer station. Spilling customizing: as individual as you are. Not two customers are alike and the demands on generating energy economically and reliably could not be more diverse. That's why at Spilling individual advice and support is as important as the purposeful manufacturing and delivery of units. This includes a comprehensive consideration of the entire plant, as well as the calculation and delivery also of adjacent plant components – in contrast to the offering of many other manufacturers of power plants. 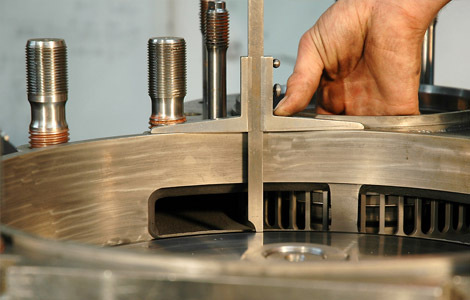 An integral part of this all-round support, Spilling customers always have a direct contact person in the plant or on site and can rely on fast spare part procurement and servicing at minimum downtimes. Spilling performs the adjustment of the plant to new or further developed application conditions on request. Spilling experts advise and support you also after your plant has been commissioned. The Spilling team looks forward to answering any questions you may have. The unique Spilling product range and the know-how of the Spilling experts form the basis to realise all concepts optimally and according to the on-site requirements. Spilling remains at work for you – with the management and supervision of the entire assembly process from installing the piping to the cold and hot commissioning. Robust and clear as is its nature, Spilling technology permits easy servicing on-site, especially in the steam engine sector.